Before I leap into this week’s post, I want to share with you some information I received in the form of a comment from no less of an authority than the chief of the Westville Fire Department! 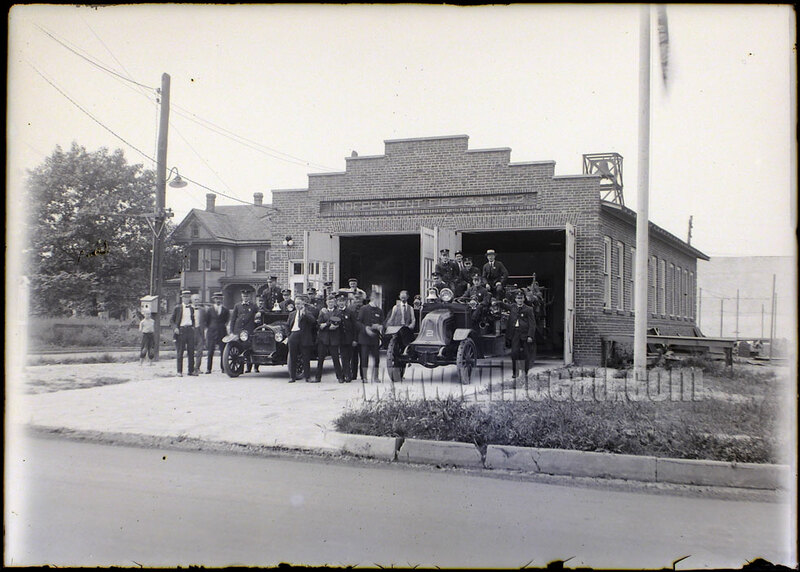 With this in mind, I’m pretty sure this is the firehouse when it was on Chestnut Street, and taken some time before 1922. 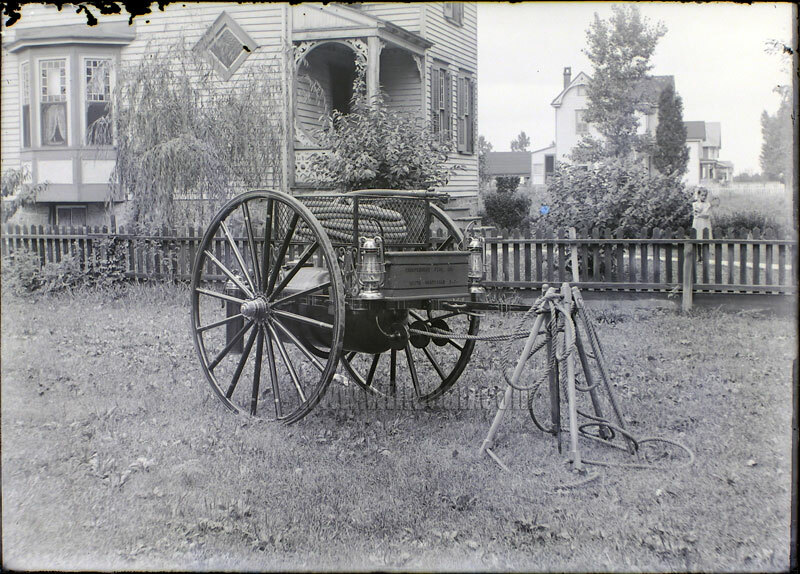 I’m sure the Chief or some history buff out there will give me the date of when the department traded the horses I posted a couple weeks ago for the snazzy motorized equipment that they are showing off in this shot. 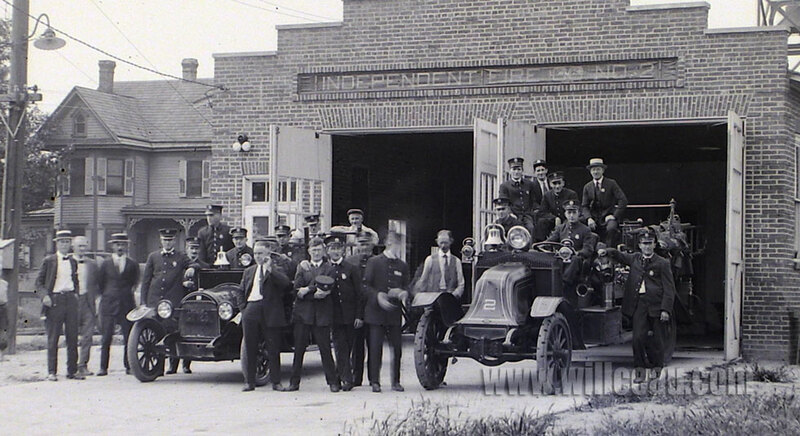 Judging from last week’s photo of John Capewell in uniform, he was probably a member of this fire department, but he doesn’t appear to be in this shot. It’s a little hard to tell with this photo. In the past he has managed to take self-portraits through the use of a timer or a length of string attached to the shutter release. This time it looks as if Capewell is behind the lens documenting the Fire Department’s latest upgrade for posterity. As with all of the photographs in the Capewell Collection Glass Negative Collection, I placed this 5-inch x 7-inch glass negative on a lightbox and shot it with a digital camera locked down on a tripod. The processing was done digitally on a Mac using Adobe Photoshop. 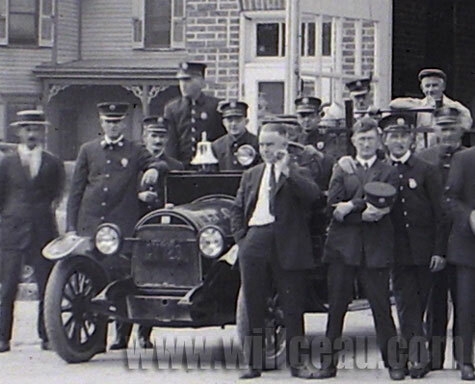 This entry was posted in The Capewell Glass Negative Collection and tagged analog, engine, firefighters, fireman, firemen, glass negative, Independent Fire Company, John B Capewell, motorized, New Jersey, photography, Photoshop, The Capewell Glass Negative Collection, Westville. Bookmark the permalink. This building in the photo is the building we operate out of today on the corner of Broadway and West Olive Street. (836 Broadway) The main door on the right is still in use today,(Near Olive Street) the two garage doors are the windows you see today on the front of the building. 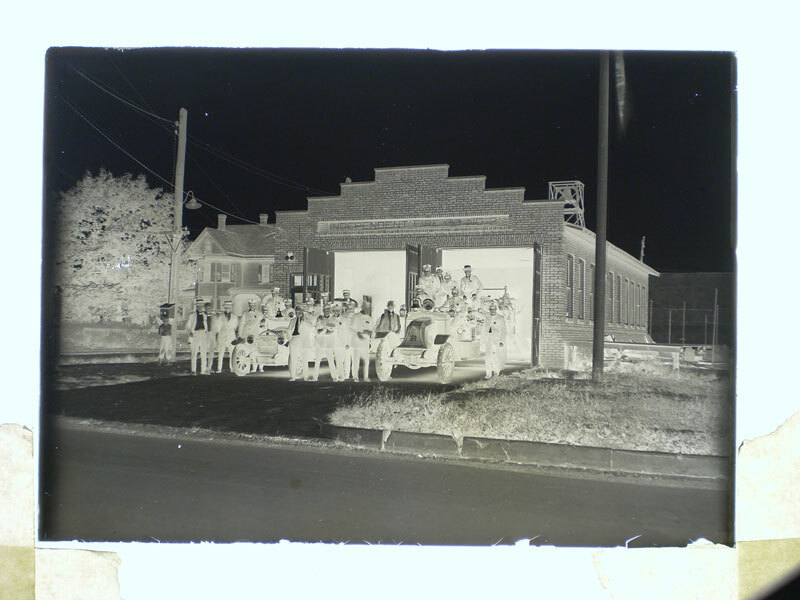 (South side) This is the original building that the fire company moved in to from the Chestnut Street location. I’m still doing research of when the horses were retired. 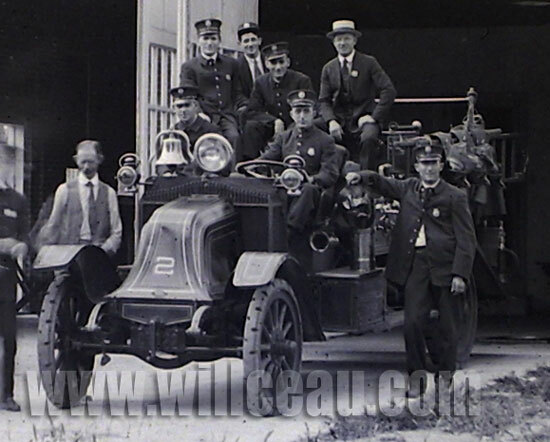 I do know the the first mechanized fire apparatus in Glouester County was from the Independent Fire Company No. 2. Building note: I believe that this photo was taken in 1922 after completion, the building had three more expansion’s. The second floor to the building in the photo in 1939, Fireman George Bishop lost his life from a fall working on that expansion. Looking at the firehouse today, the two bay doors to the main door just center of the building were built in 1955 and the bay door to the main door in the alley way side of the building was built in 1968. Hope this helps. do you have any pics of the old ford/pierce rescue The blue and white one from the early 80s ?? Could you e mail me one? I used it for a service truck when Fireline bought it from Westville F.D. No, I’m afraid I don’t. These are part of a collection of 200 glass negatives shot by John B. Capewell. A few of them relate to the Westville Fire Department, but most of them don’t.